What Are The Factors Affecting The Baby Bump Size? 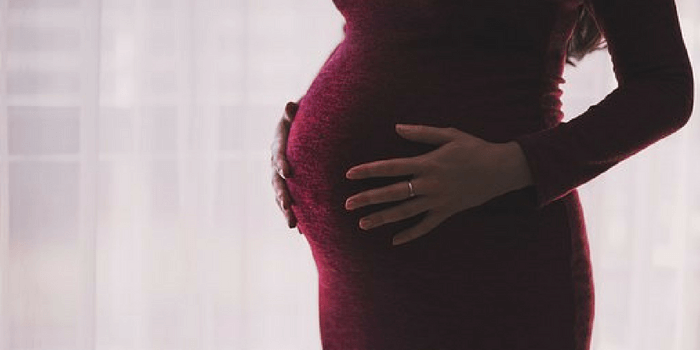 Home / Tips / What Are The Factors Affecting The Baby Bump Size? So you recently took the test, and you saw a couple of lovely pink lines show up. Congrats! You’ll be a mama soon! And perhaps the main thing on your mind right now is this: So when does baby bump show? I’m sure you’re super excited to see your growing belly and feel your baby kickin’ inside, as if to tell you she’s just as eager to be held by you. But when it comes to the size of your tummy, there are several factors that can affect it. And yes, there’s no exact time when that baby bump will start to show. In most cases, first-time mama to be’s will start growing their baby bump somewhere around the 12th or 16th week. On the other hand, if this is your second, third, or basically not your first pregnancy, that round belly will show sooner. That’s all because your abdominal muscles, as well as your uterus, have stretched out when you had your previous pregnancy. In fact, it’s not uncommon for second-time mommies to start seeing their baby bump a month or even a few weeks earlier than their first ones. But still, that’s not the ONLY determining factor as to when you’ll start showing. You can’t deny the fact that your body type has a huge impact on how soon or how late you’ll see that round belly. If you’re on the thin side, you’re most likely to notice that baby bump by the 12th to 15th week. And as for those ladies who are a little on the heavier side, your belly will become much more apparent during your second trimester. It’s also because of more defined muscles in your abdomen that cause you to show a little later than others. With a smaller, more slender frame, your baby bump becomes highly noticeable because the rest of your body is on the thinner side. But if you have a more prominent tummy caused by extra weight, baby bump stays concealed until it gets much bigger later in your pregnancy. Maybe you can ask some women in the family when their baby bump showed during their pregnancy. Chances are, you’ll have the same experience with them, well at least when it comes to how soon that round belly starts to appear. You can ask your mom, your sister, and other female relatives who can give you some clue and let you know when they started sporting that super cute maternity dress and flaunting their baby bump. You’re likely to start popping just about the same time as they once did in their pregnancy. Speaking of stretched abdominal walls and muscles. It’s common that older moms have their abdominal muscles stretched out more, as compared to younger moms. Which is why if you’re a younger mom, generally not in your late 30s yet, then you’ll show later into your pregnancy. How Many Little Bubs Inside? Are you having twins? Triplets? Or just one baby inside that cute belly? The more babies inside, the sooner you’ll start to show! The uterus expands more to make room for multiple babies, so you can see that baby bump in just a month’s or a couple of month’s time if you’re having more than one baby. This is something that depends on your natural body structure. Women have varied uterus positioning, which makes them show in just a month time, while others take several weeks more. If you have your uterus tilted towards your back, or what we call retroverted uterus, you can expect that baby bump to pop a little later. The opposite is true for ladies with a uterus tilting forward, however. With an anteverted uterus, your round belly will appear earlier. Being pregnant is exciting, but at the same time, may be a little uncomfortable during the first few months. Well, it can actually go on throughout your pregnancy, although these things are usually manageable. I’m talking about constipation, bloating, and that gassy experience more often than when you weren’t expecting. These are pretty normal because you’re having a little spike in your progesterone level. This is the hormone that causes your smooth muscle tissue to relax, and that involves your GI tract. So obviously, if you’re constipated or gassy, your belly sticks out more than when everything is going well inside your stomach. Let me just stress out a couple of things, which are nothing but myths or hearsays. Number one, just because you’re not showing sooner, that doesn’t mean your baby is very small or not growing right. The size of your tummy has nothing to do with your baby’s development. Like I said, it’s the genetics, your age, the number of pregnancies you’ve had in the past, and even the current condition of your stomach that affect the roundness of your belly. So if your baby bump seems too small, don’t worry! Number two, your pregnancies vary. I mean, you can’t expect your first pregnancy to be EXACTLY the same as your second pregnancy. If you’re much older now, less physically active, maybe a little thinner or heavier, your baby bump’s size will definitely be different. You can pretty much count on that. Worrying too much won’t help if you want to ensure a safe, healthy, and happy pregnancy. And most importantly – that little bub in your belly feels what you feel! So what you should do is to relax your body, ease your mind, and surround yourself with a loving and nurturing group of people to bust the stress away. If you’re not showing yet, just be patient and relax. That time will come, and soon, you can just run your hand around your round belly, feel your baby’s kicking, and count the weeks or days before you can say hello to your little bundle of joy.